HandKrafted by Stephanie: Taylored Expressions November Release Day: Happy New Year! Taylored Expressions November Release Day: Happy New Year! Hello! Welcome to Taylored Expressions November 2015 Release! All products that we have been peeking this week are now available in the TE store, HERE! Before you head off to shop, I have one last project to show you. My card today uses the new Raise Your Glass die. 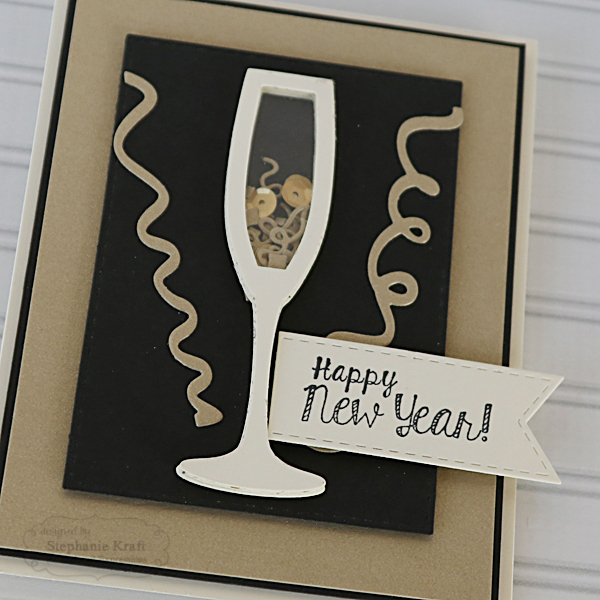 In order to create my shaker element, I die cut the champagne glass 12 times out of cardstock and adhered each layer. Since the perimeter around the glass is narrower than any foam tape that I have, building up the layers enabled me to add filling for the shaker. The glass is filled with Little Bits - Celebration Confetti die cut out of gold cardstock and some gold sequins from the Wedding Sequins assortment. Accessories: Taylored Dies: Little Bits – Celebration Confetti, Raise Your Glass, Stitched Banner Stacklets, Stitched Rectangle Stacklets; Wedding sequins (TE); Acetate, Foam tape. 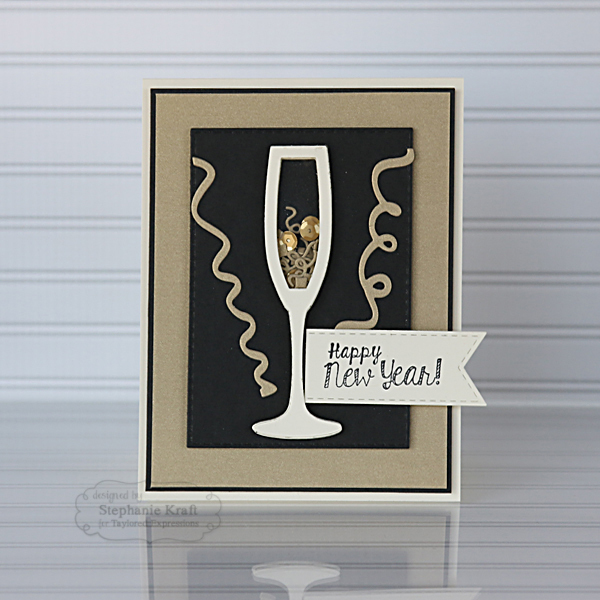 This is so cute, Stephanie...how fun to create a shaker with the champagne glass...perfect for New Years!!! !